For the first time the name Białowieża is mentioned by Jan Długosz in his “Annales seu cronicae incliti Regni Poloniae” – “Annals or Chronicles of the Famous Kingdom of Poland”. 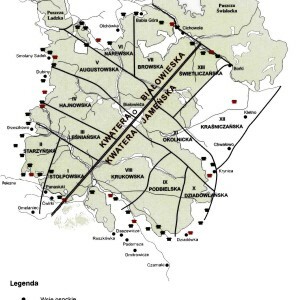 He notes that in 1409 King Władysław Jagiełło travelled from Kamyanyets to Białowieża behind the river Lśna (Leśna), where he hunted for eight days. He ordered to salt the game, pack it into barrels and float them down the rivers Narew and Wisła to Płock. The prepared supplies were to be used during the Battle of Grunwald. In the chronicles, the name is recorded as Białowieże or Białowież, thus providing a basis for assumptions that this name derives from a white tower or several towers; however, there is no evidence available to confirm this hypothesis. The year in which Władysław Jagiełło held the hunt described in the chronicles is considered to be a date beginning the legal protection of the Forest. As the royal property, the Forest was subject to the special laws. It was forbidden to enter the forest, settle in it without king’s consent, harvest timber or any other resources. Hunting of large game, particularly bisons, was punished with particular severity. In the 13th century the Forest borders were described and at that time it was named Kamyanyets-Białowieża Forest. 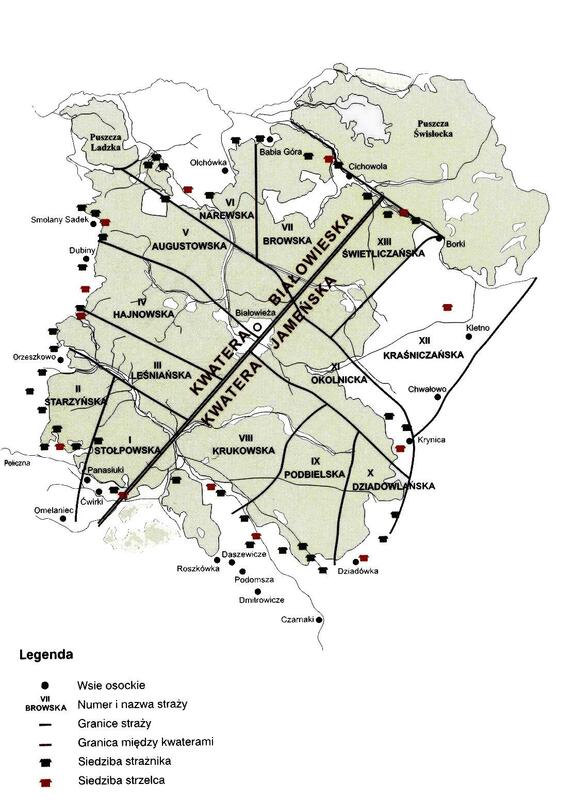 Initially, it covered 125 thousand ha, and after the nearby forests: Świsłock, Szereszew and Lacka (remains of Bielsk Forest) were added to it, its area increased to 150 thousand kilometres. The 19th and 20th centuries significantly influenced the condition of the Forest. After the third partition of Poland the Forest was ruled by Russian Tsars. Empress Catherine the Great with her son Paul treated it as a war spoils and divided its territory between their favourites. In consequence, many of its fragments were cut down. The red deer also was exterminated at that time; this species was reintroduced later. The Forest grounds were divided into compartments – a network of squares of an area of square verst (ca. 113 ha) each. Tsar Nicholas II subjected the forest management to hunting needs, and this way the wild bison survived. 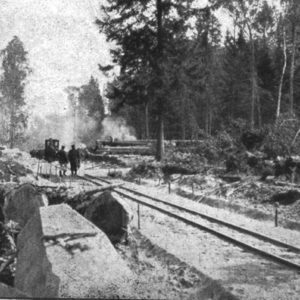 The First World War is the time of mass logging. Germans cut down and transported from the whole region nearly 5 million cubic meters of timber harvested from the most splendid and valuable trees. Clear-cut harvests were conducted on an area of 5.5 thousand hectares. Trees were cut by war prisoners and local people. The prepared timber was transported by a narrow-gauge railway. Between wars, an inventory of losses was prepared, showing that 1/3 of the Białowieża Forest was destroyed. In 1919 a scientific expedition led by Władysław Szafer came to the Forest. It confirmed that wild bisons did not survive, and that the forest condition after its use during the war was poor. Two years later, this expedition also resulted in excluding from use the best preserved fragment of the forest located north of Białowieża between the rivers Hwoźna and Narewka. In 1921, on request of Professor Władysław Szafer, a chain of nature reserves was created in the Forest. A few years later one of them was transformed into the national park, while the other covered the area which is currently protected as the Władysław Szafer Landscape Reserve. 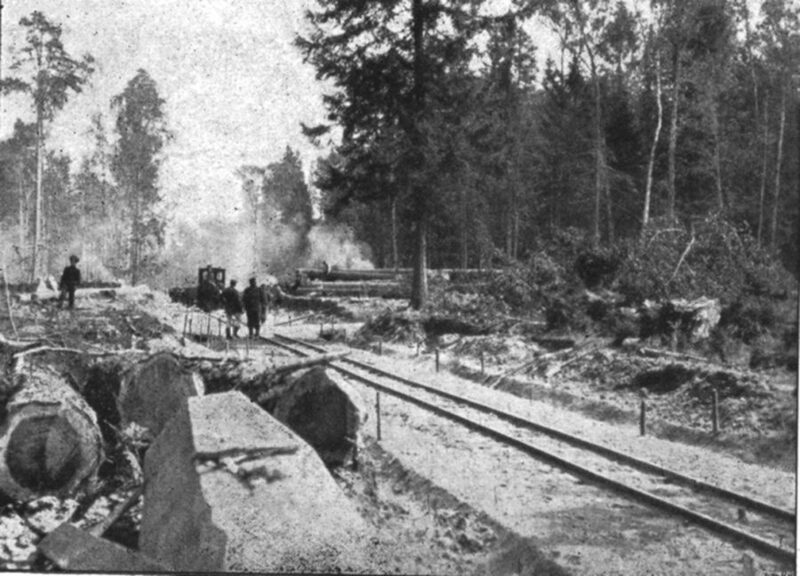 During the interwar period, in 1924, the Polish government allowed an English company, The European Century Timber Corporation, to cut trees in the Forest. It was yet another period in which the Forest was affected by overharvesting. Objections raised by foresters and natural scientists resulted in termination of the agreement, and the Polish government had to pay high damages to the English company. 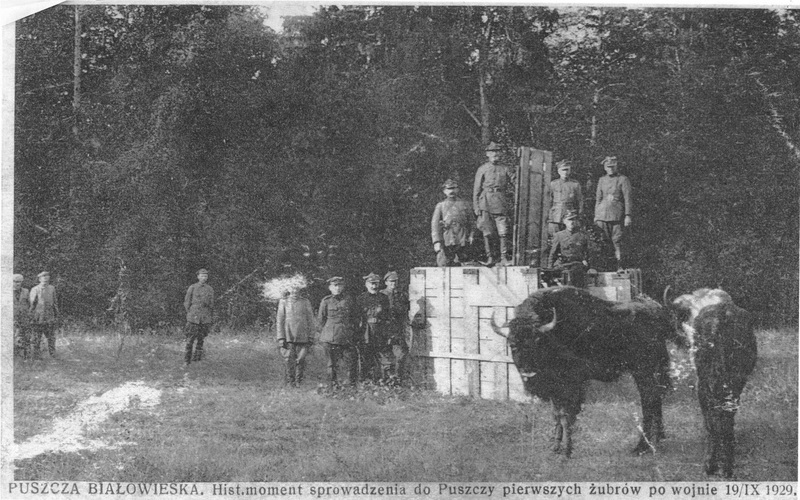 In 1929 the bison returned to Białowieża Forest. 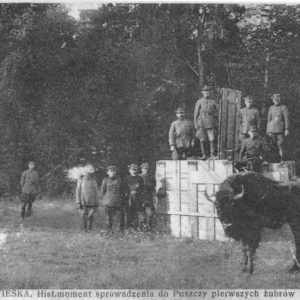 Although the reintroduction process was difficult and long-term, yet it was successful and nowadays over 1000 bisons live in Białowieża Forest on both sides of the border. The Second World War was another period of intensive use of the forest resources, and several million cubic meters of timber were removed from the forest at that time. Unfortunately, this period also was a time of extreme terror for people of this region. In 1939–1944, mass deportations of people from the Forest region were carried out, and they were transported mainly to Siberia and Kazakhstan. The occupants also carried out mass executions in villages and forests of the region. Nameless graves and crosses scattered in the Forest are witnesses of those tragic days. During the Second World War, many villages, the Tsar’s palace and part of the Orthodox church in Białowieża were also destroyed. After the war the church was rebuilt, but the palace was demolished, and today the Nature and Forest Museum of Białowieża National Park is located on its site.